Are you ready to work with a buyer who wants to see 25 homes, make an offer, and seal a deal in the space of a long weekend? Or, if house hunting is combined with a temporary duty (TDY) “working” trip to the new base, the servicemember may work all day and want to look at houses after hours. Understand the time pressure that military families experience during a permanent change of station (PCS) move, as well as the moving procedures and allowances. Learn to move quickly—it’s not unusual for a military family to look at houses (could be a couple dozen) and make an offer within a few days. Be willing to go above and beyond, to show a lot of houses, work fast, and facilitate appointments with lenders, appraisers, and inspectors. For example, you could develop a procedure to recap houses viewed, keep detailed notes, present pros and cons objectively, and recall the property’s details. Develop an “as is” checklist—especially helpful when one spouse is absent. 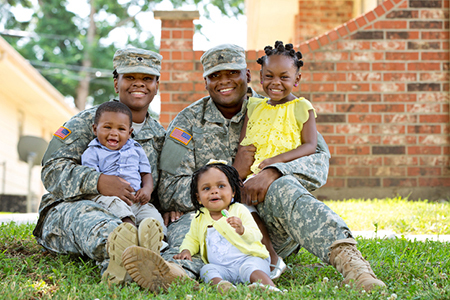 The needs of the services take precedence over the needs of servicemembers’ families. Consequently, only one of the spouses may be available for house hunting. You have probably experienced situations when civilian spouses’ conflicting needs and wants complicate the property search. Imagine what can happen when one spouse is absent—deployed to a war zone, on sea duty aboard a submarine, or just unable to arrange leave for house hunting. Military families may know the procedures for making a PCS move, but they don’t know the community and they rely on your knowledge to guide them in making a good housing choice. Local practices, procedures, and paperwork involving real estate transactions can vary considerably across the country. Be ready to explain the steps in the transaction, as well as differences between the roles of the listing agent and the buyer’s representative. Even a retiree could be a first-time homebuyer. Do the Math: Sell or Rent? You can help sellers crunch the numbers to decide if renting makes more sense—or cents—than selling. You don’t have to be a commercial real estate guru to lead sellers through a basic return-on-investment analysis. RPR® investment analysis tools can help lead you through the calculations. If your company doesn’t handle rentals, be sure that your referral network includes a reliable property management company. For more education about serving the military market, check out this month’s featured online certification at the Center for REALTOR® Development, the Military Relocation Professional (MRP) Certification Course, which is the educational requirement for NAR’s Military Relocation Professional (MRP) certification.